The goal of Better Health and Wellness Center is to educate our community about Chiropractic care and philosophy. We provide high quality, affordable chiropractic health care to promote better health and to prevent sickness. We offer complete Chiropractic care including Physiotherapy, Physical Therapy, Pain Management, Orthopedic and Neurological evaluation and treatment, along with Acupuncture, Massage, and Energy Healing. In addition, we can also schedule in-home visits for chiropractic and acupuncture treatment by appointment. In-home visits can also be scheduled for massage and for rehabilitation exercise programs. We will be glad to schedule an acupuncture appointment for you, and Ben Gerami will help you develop a personalized program for rehabilitation and fitness. See our coupons and specials for further details. Visit our Patient Testimonials page to see what our patients have to say. Also, if you have been a victim of a car accident, please check out our Auto Accident Injuries pages to see how your body may be reacting to this accident even days or weeks later. Dr. Fara Sabeti graduated from Life Chiropractic College, San Lorenzo, CA, in 1998. Her decision to become a Doctor of Chiropractic was based on her own successful experience of chiropractic care. Dr Sabeti is a member of the American Chiropractic Association and is involved in continuing education by attending frequent seminars and workshops on patient care. In her practice she uses a combination of very effective, yet gentle techniques, such as Activator and SOT. She also uses manual techniques such as Gonstead, Diversified, and Pettibon. Dr. Sabeti uses her Chiropractic techniques, in addition to her years of experience in therapy and rehabilitation, for the best possible results for her patients’ ailments. Her specialty is in family, sport injuries, personal injuries, work related injuries, and therapeutic massage. She is excited to be a Doctor of Chiropractor and to be able to help her patients in the prevention of disease and to optimize their health through Chiropractic care. Chiropractic treatments can help with back pain, auto accident injuries, personal injuries, sleep disorders, sports injuries and much more. Acupuncture therapy will release blocked energy, resolve pain, and improve sleep and digestive functions, and gives an overall sense of well-being. Energy based healing is a natural way of treating the whole person by balancing energy in the body, the mind, and the soul to reduce stress, increase relaxation and positive energy to maximize health. Our massage therapist is trained and licensed to examine and treat impairment, functional limitations, and disabilities in patients through different types of massage. Through nutritional education and the use of whole food supplements, we can successfully address illness and chronic disease. We understand that each person and every body is different, so you can expect a weight loss program tailored to fit your unique, individual needs. When my husband and I were in a car accident and we were in pain with neck and back pain all the time. We were referred to Dr. Sabeti. In just a few short months of treatment we both have made a good recovery back to a normal life style. Thank you for your wonder help, time spent with us, and your services you have provided us with. You and your staff have been excellent, uplifting, and very pleasing. I had been in a car accident and I felt so bad. I was all messed up and thought there was no hope for healing my spine. I have to admit I was scared when I came to my first appointment with Dr. Sabeti. But, Dr. Sabeti and the staff at Better Health & Wellness Center made me feel welcomed and comfortable. Thanks to her, the pain is gone and I feel like myself again. Dr. Sabeti, you are awesome! I had been in a car accident. 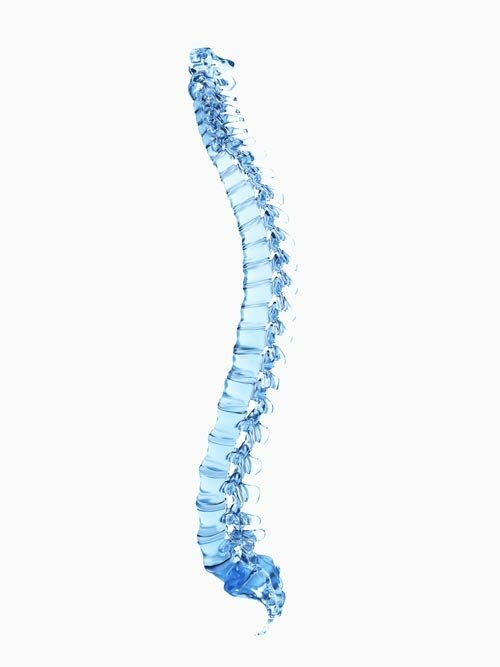 I had neck stiffness, back tension, and my whole spine felt like it had been shabled and warped! The day I met Dr. Sabeti, and had my first Chiropractic treatment, I felt like the pain was never going away. But, I was wrong. After the first week of treatments, I felt the magic that I was provided with every single time that I came for my appointments with her. All my pain is now gone. I would recommend Dr. Fara Sabeti to anyone who has pain and discomfort that I used to have. She and all her staff at Better health & Wellness Center are wonderful!